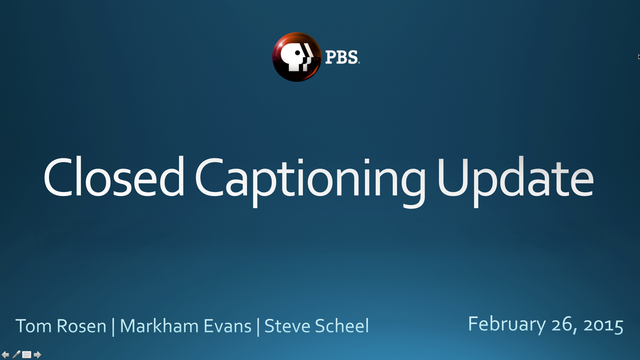 During this webinar, the new FCC guidelines for captioning standard certifications, placement, accuracy were covered. Presenters were Tom Rosen, PBS General Council; Markham Evans, PBS Digital; Steve Scheel, and Media Operations Center. Q&A guests were Chris Homer, Technology and Operations, and Jenny Markley, PBS Digital.